Having settled, once again, on a spaniel, David Tomlinson finds the hardest decision is still to come. Which of the six breeds should he pick? The writer with his future shoot-day companion, sprocker Emma, aged four weeks.  As a gundog writer, David Tomlinson knows more about our six spaniel breeds than most. So he is faced with a tricky decision in his search for a new puppy. Which is the best spaniel breed? We weigh up the options. David Tomlinson is hedging his bets with a sprocker, but she won’t look out of place when she makes it to the line. The supremacy of the pedigrees is coming to an end. Read crossbreed gundogs: the day of the crossbreed? I’ve shared most of my life with spaniels. My first, when I was 13, was a cocker but for the past 35 years it has been English springers, all from the same line. Sadly, that line is coming to a natural end as my current springer, Rowan, is now 12, with no successors. Time to consider a new recruit. For a while I toyed with the idea of something different, such as a Spanish water dog (surprisingly competent gundogs), however, the choice eventually came back to a spaniel, but what sort? 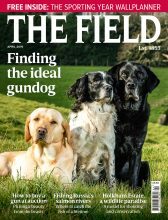 As a professional writer on gundogs I’m familiar with our six native spaniels – English springer, Welsh springer, cocker, field, Sussex and Clumber – and have seen delightful working examples of each. (The Irish water spaniel is in a category of its own and the Kennel Club classifies it as a retriever in competition and a spaniel on the show bench.) It could be argued that I know a little too much about each breed, which is why the decision as to what to get became complicated. Take the Welsh springer. Though I’ve seen lots of ugly English springers, I’ve never seen a Welsh springer that was anything other than handsome. Most are beautifully marked with that wonderful shade of rich red contrasting with white. Their looks explain why they are so popular in the show ring: at Crufts, there are invariably as many Welsh springers as English, despite the fact that annual registrations are a fraction of those of the latter. Last year, a mere 362 Welsh springer puppies were registered with the Kennel Club, compared with 9,958 English. I like the looks of the Welsh springer and admire the cheerful temperament but the breed has one great disadvantage for anyone looking for a working dog, as so few Welsh springers are worked. To find a puppy from good working stock is challenging. Though I’ve seen a few Welsh springers that hunted and retrieved well, I’ve never seen one with the passion and drive of even a moderately talented English springer. I’m sure that this could be changed if a few serious working gundog enthusiasts decided to take on the breed, but this seems as likely as Jeremy Corbyn taking up hunting. Lack of working blood is also a problem with both Sussex and field spaniels. Some years ago at the Game Fair I was given a badge with the slogan “Field spaniels need field sports”, which is certainly true. Sadly, few get the chance. Field spaniels are handsome dogs, with what is arguably the best head of any of the spaniels, but this is a breed that is sliding slowly but surely towards extinction. Last year just 50 puppies were registered, and I doubt if any of them will ever discover the joys of working for the gun. Sussex spaniels suffer from a similar problem. Last year 56 puppies were registered, but such a small gene pool invariably means genetic health issues. I’ve met more than one ill-tempered Sussex, so don’t believe all you read about how this is a calm, easy-going breed. It has numerous health problems, ranging from hip dysplasia to pulmonary valve stenosis, patent ductus arteriosis, intervertebral disc disease, hypertrophy and various eye troubles. Much as I like my vet, I don’t want to be visiting his surgery too often. The working cocker has enjoyed a surge in popularity in recent years, so it would be fascinating to know how many of the 23,317 puppies registered last year were from working as opposed to show/pet stock. I would guess the proportion is quite significant. Frustratingly, there is a problem with too many working cockers sharing similar genetic lines, largely due to the popularity of a few highly successful stud dogs. However, choose your breeder carefully and you can find biddable working puppies that come from healthy stock, not sharing the same sires on both sides of the pedigree. A cocker was high on my list of possibilities. I didn’t discount the Clumber, either. I have much admiration for those enthusiasts who have devoted so much time and energy to restoring the Clumber as a proper shooting dog, and I have enjoyed some memorable days shooting over these big white spaniels. However, the downside of the Clumber is that you have to pay a premium for a Clumber of proven working stock – £1,000-plus for a puppy is quite usual. This may be modest compared with the ridiculous cost of, say, a French bulldog, but they are high compared with a springer or cocker. In the end, I decided to hedge my bet: I chose a sprocker. As a cross between an English springer and a cocker, the sprocker isn’t recognised by the Kennel Club but that’s immaterial to me as I don’t compete with my dogs. Sprocker enthusiasts claim that the cross produces the best of both breeds, while others say the opposite. Accusations that the sprocker is a designer-dog, like the labradoodle, are wrong, for it’s simply spaniel crossed with spaniel. This is largely what appealed to me. My puppy is from health-tested parents but is genetically an out-bred dog, with no shared parentage for many generations. Hopefully, this will mean a healthy dog. Time will tell.